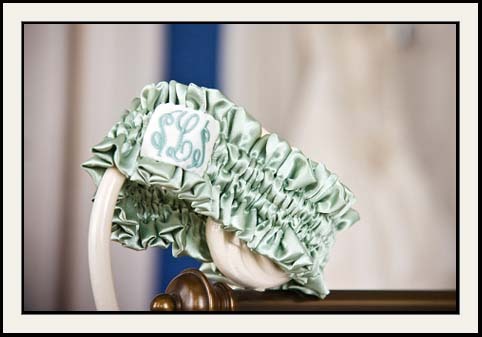 A simple, elegant Garter with a patch or button with initials: one initial to represent either the bride's name married last name; two initials to represent the bride or the bride and groom; three initials as the brideï¿½s maiden monogram, married monogram, or the bridal couple monogram. You can also choose a small design to match your wedding day theme. 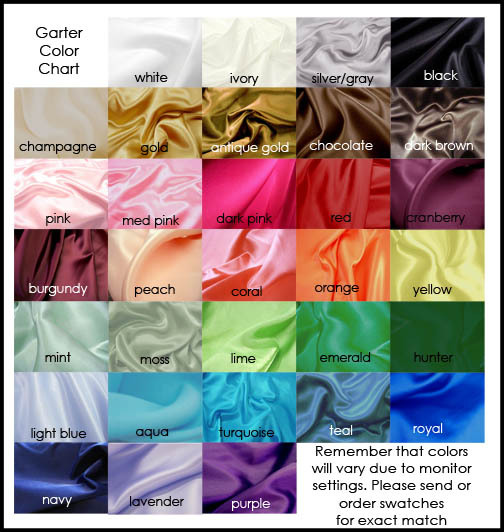 The Button Garter is an exclusive Gartermaker design! A ribbon could also be added to the button option, to add in another color. Just put that request in your the additional notes field. 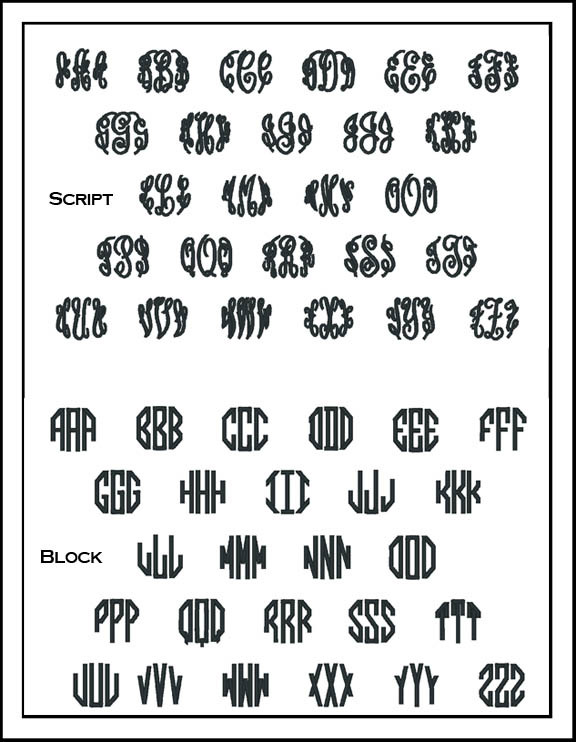 Standard font choices are block and script. If you would like another font, feel free to put that in the notes and I will let you know if it will not work (please see the font choice page at the left for additional fonts). Keep in mind that with one initial there is enough room to do many fonts, however with the 3 initials, not all fonts will work. Any additional info or details?